Many of Slovenia’s ski resorts opened this past weekend, at least in part, with others due to open during the course of this week. The main and largest ski resorts are at Kranjska Gora, Krvavec, Maribor Pohorje, Vogel and Cerkno, but there are also many others too such as Golte, Stari vrh and Soriška planina, to name but a few. Sadly Kanin, Slovenia’s highest ski resort, remains closed and looks likely to be so for the foreseeable future. Personally, I cannot understand how this can be allowed to happen without the government, or someone, stepping in to offer assistance before it is too late; to allow what was the ‘crème’ of Slovene skiing to be left to rot taking with it the business and livelihoods of no doubt countless people in the town of Bovec, and the surrounding areas, where there is little work other than tourism. Let’s hope it won’t come to that and the resort will be revived to its former glory. Sunday was a glorious day; very crisp and frosty but with brilliant winter sunshine, so I made the most of it with a trip to the Polhov Gradec hills, also known as the Polhov Dolomites (Polhograjski dolomiti), due to their rocky appearance. 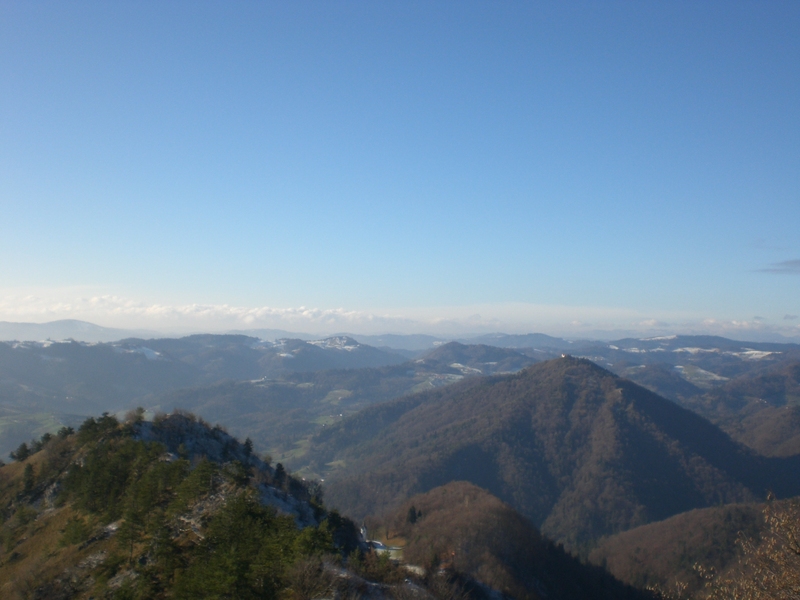 The area consists of a hilly region that extends from the southern side of Ljubljana to the northern side of the Škofja Loka area. 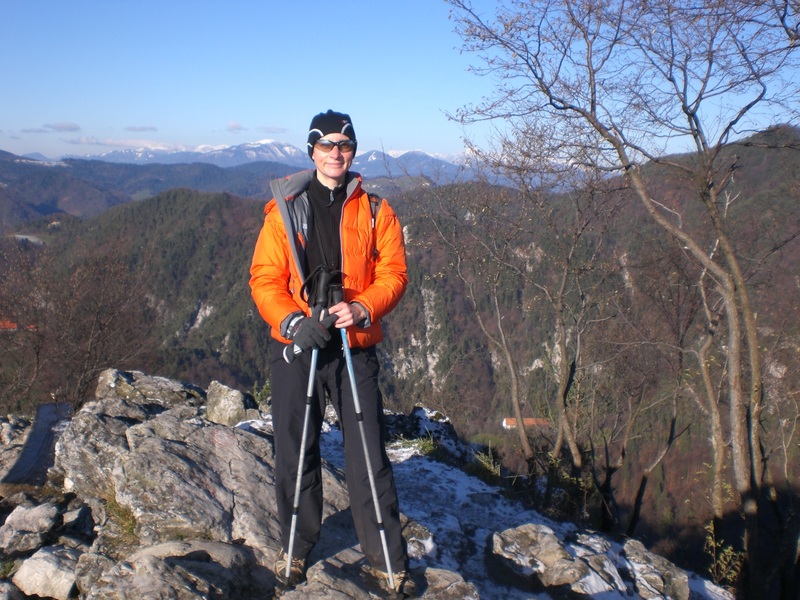 The highest of the hills is Tošč (1021m) follow by Pasja Ravan at 1019m. It is interesting to note that Pasja Ravan was previously the highest however approximately 10 metres of its height was lost during the setting up of a rocket base there by the then Yugoslav Army. My favourite peak in the range is Grmada. At just 898m it is far from high but one really has the impression of being in the high mountains as the views from the top are simply stunning and far reaching in all directions. There are a number of paths, leading from various directions, to reach the peaks. 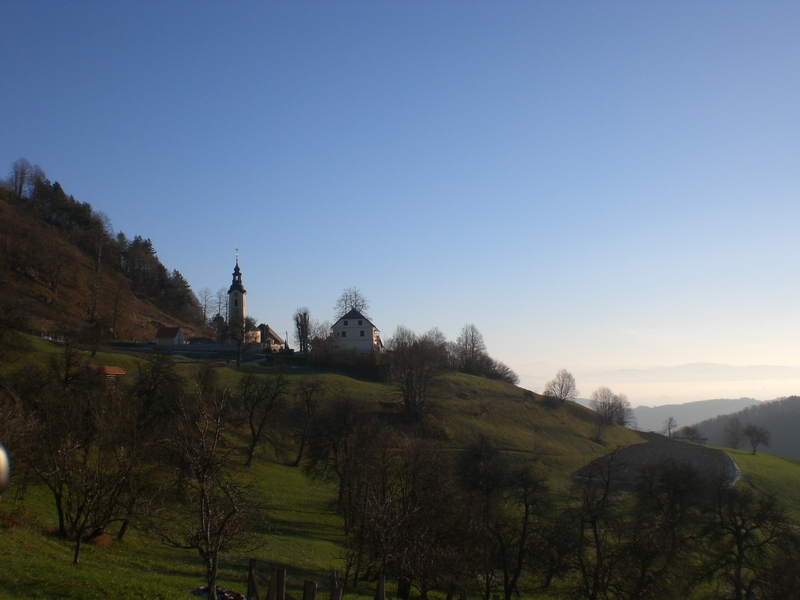 Many locals start from the visit of Topol, also known as Katarina due to the name of it church or from the village of Polhov Gradec. From either of these villages the walks are well marked and it takes only around an hour and 1.5 hours respectively, to reach Grmada. However, from where I live in Radovljica, it is closer and easier to access the area via Medvode, rather than having to drive up and over the hills or around Ljubljana. I therefore started my walk from Slavkov dom at Golo Brdo, making it a longer walk but then I would always rather walk further than drive! The path leads gradually uphill, never steeply, taking about an hour to reach Katarina, then a further good hour’s walk to Grmada. 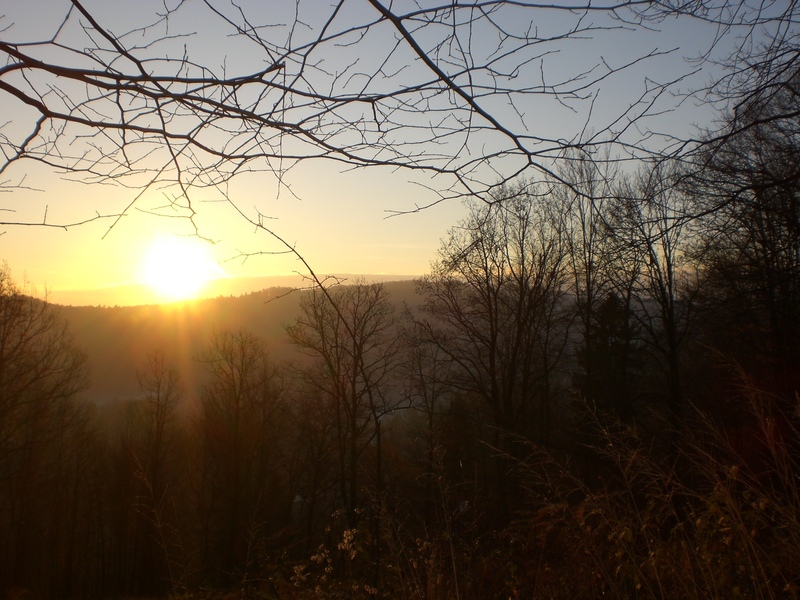 Below are some photos of my walk beginning with the beautiful sunrise I was treated to as a reward for my early start and the view looking back towards Katarina. 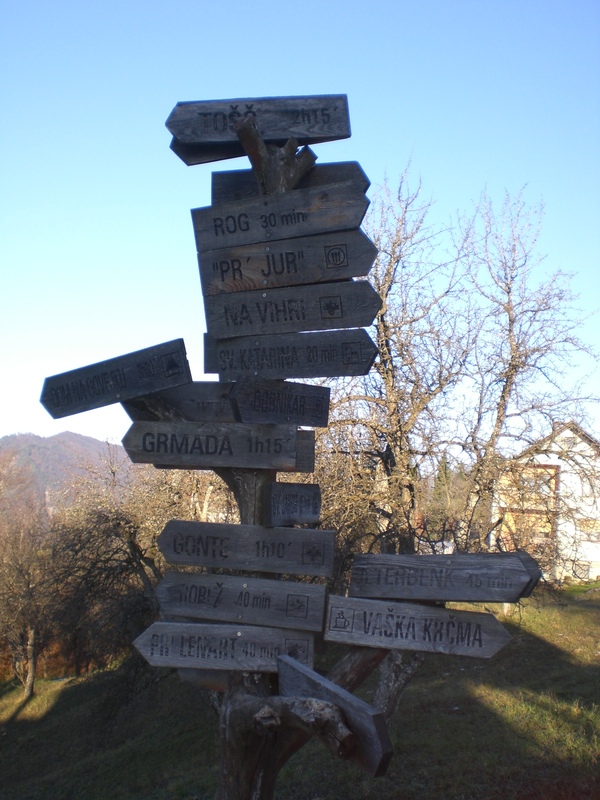 One of the signs I encountered en-route – you’ve really got to know where you’re going here! 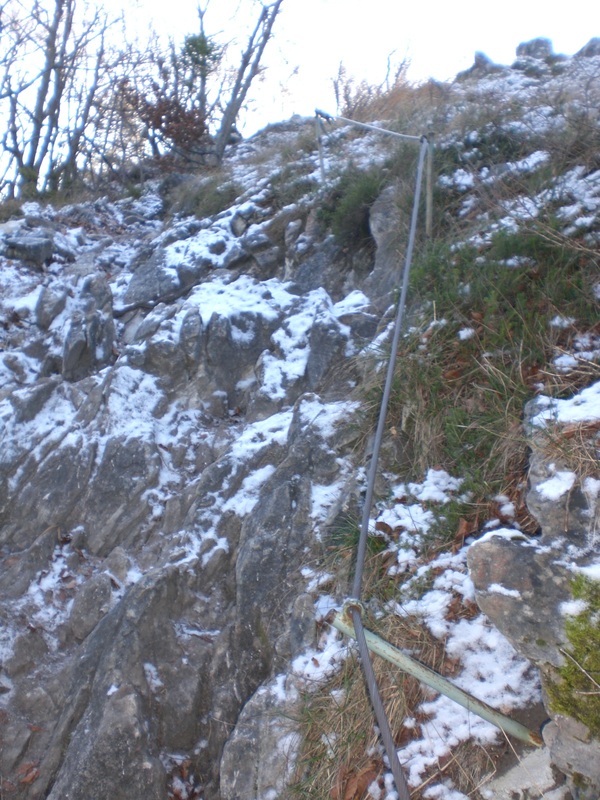 Here you can see the final part of the ascent to Grmada, complete with a light dusting of snow, from the direction of Gonte, which can easily be avoided by taking the direct path up to Grmada; me at the top with Triglav in the far background and wonderful views all around as far as the eye can see.